Certified Technologist (CTech) is the new standard for IT Professionals within the first few years of their career. Certified Technologists have proven foundational technology, interpersonal and professional practice skills. Demonstrate they can achieve results. Certified Technologist accreditation indicates an IT professional meets fundamental standards of competence, education, experience, and ethical conduct. This is an evidence-based qualification and usually requires 3-4 years of combined education and industry experience. Holders of Certified Technologist may use the CTech post nominal after their name (eg John Smith CTech). CTechs are instantly recognised in New Zealand and around the world as IT Professionals who achieve results. Research shows that those holding professional accreditation such as CTech and CITPNZ earn significantly more on average than those who don't (or who just hold technical or vendor certification). Certified Technologist will make a difference to your CV. Why should you employ certified professionals? The primary requirement of Certified Technologist is to have been practicing at Level 3 of the Skills Framework for the Information Age (SFIA) for at least a year. This means working under general direction rather than close supervision, performing broad and sometimes complex and non-routine work, and being accountable for their work. More about SFIA skills and levels. Broad ICT knowledge is assessed via undertaking a self-assessment of a Core Body of Knowledge. 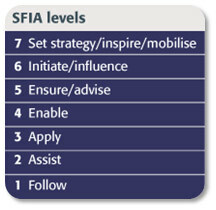 Specialist ICT knowledge focuses on a specific IT skill or competency using the SFIA framework. Professional Knowledge relies heavily on the IITP Professional Knowledge Curriculum. Competency and responsibility is again based on SFIA, this time the general level requirements for Level 3. Sound character is important - the public need to be able to have confidence in IT professionals. The CTech requirements and assessment are robust but achievable for those who have established a career in IT and can demonstrate competence in chosen areas. Applicants must have been successfully operating at SFIA Level 3 for at least a year. This usually means three to four years of combined IT education and professional practice. no qualification but a clear educational focus (courses, training, technical certifications, etc) and three years' practice. This requires self analysis of skills or self-reflection. It takes most people between five and 10 hours to complete and can be done in multiple sittings. The ITP assessment team will analyse and validate the application, then assess the application against the requirements for Certified Technologist. More information may be requested, if required. continue to meet the practice standard (operating at SFIA Level 3 or above). The Institute charges nominal fees to administer, promote and operate the qualifications programme. Certified Technologists must remain an Associate or above of ITP NZ.